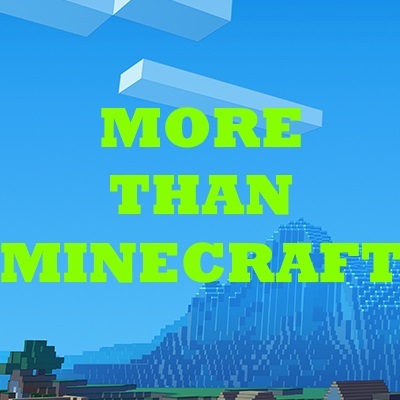 MoreThanMinecraft is a mod that, as the name implies adds more to Minecraft. It spans lots of different categories of Minecraft, from building to complex systems. And even more, is coming with lots of updates that add more features in more fields of Minecraft. There are currently three versions of MoreThanMinecraft. Minecraft 1.12: The MoreThanMinecraft 1.5 versions. Minecraft 1.10: The MoreThanMinecraft 1.4 versions. Minecraft 1.8: The MoreThanMinecraft 1.0-1.3 versions. Currently, this mod spans over a decent amount of topics and with the machine update underworks a lot more is to come. Here are most of the features that are in this version of MoreThanMinecraft. And remember this mod is often updated and so expect a lot more to come soon. A complex new way to manage and control fluids in Minecraft. - In MoreThanMinecraft you can master the fluids of the world by trapping them in Crystals and turning them into useful tools. With MoreThanMinecraft you can make all sorts of changes to the fluids of the world with the useful Stackable Water and Stackable Lava. As well decorate your base with lava and water without the fear of leaks or burning with False Lava. This and so much more await in the world of fluids in MoreThanMinecraft. Lots of new blocks to spice up your vanilla or pre-modded worlds. - In MoreThanMinecraft you can master your building game with an assortment of new blocks and more to come in the future. MoreThanMinecraft adds a decent amount of decorative blocks, to name a few, Cracked Ice, Blacktop, Cement, Sidewalk, Bookshelves of every wood type, cage blocks and more. Very useful rings that give you an advantage in building, combat and more while they are in your inventory. - In MoreThanMinecraft you can make powerful rings to give you an edge in Minecraft. From the Bunny Ring to the Ring of Flight there will surely be a ring that fits your needs. Most updates come out with 1 to 2 rings so expect more soon. A machine system to allow for more creations in Minecraft. - In MoreThanMinecraft you can build and use epic machines to allow you to create complex systems and change the Minecraftian world forever. Using Melters or Freezers, or using an awesome way to craft new rare items. When this version of MoreThanMinecraft was made its purpose was to improve upon the original by making sure it is balanced, finished, bug-free and uniform in art style, content and more. While this version mostly achieves it, the prime version is the V1.5 versions. This version of Minecraft was the first and it has crazy, fun, and silly art and mechanics that most people will love. However, the prime version of this mod is the 1.5 version. Can you fix the Cartography Table new with the right texture of the one site who the globus was. Currently, there have been some dev problems with this mod so the next update may take a while. But I am trying to get a quick fix out ASAP. Thanks, I will take that suggestion into consideration for future updates :). Just release an update with a TON of 1.14 and 1.13 blocks, it's super cool. Thanks for the inspiration. I will see if I can add this! Thanks! Thank you for the feedback, the changelog is temporary and a description has been in the works.